The Yale Book of Quotations App is now available in the Reference section of the iTunes App Store! The Yale Book of Quotations is the most complete, up-to-date, and authoritative quotation dictionary ever compiled. 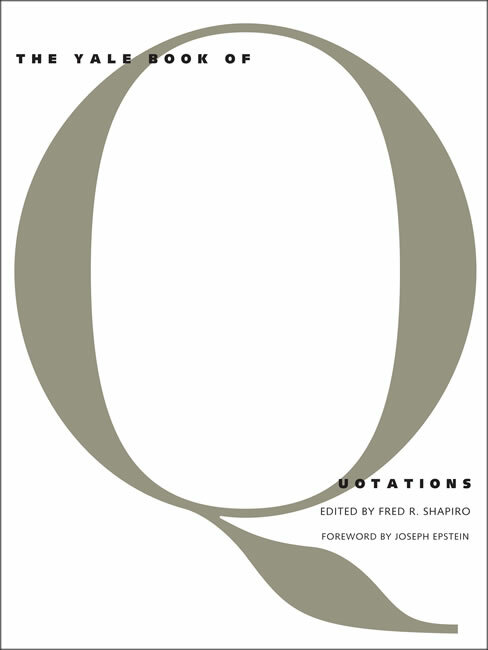 The editor, Fred R. Shapiro, used innovative research techniques to ensure that the most popular and eloquent quotations, especially modern and American ones often missed by other dictionaries, were included. Yale University Press invites you to continue contributing your favorite quotations to this project. Quotations from recent years are particularly welcome.